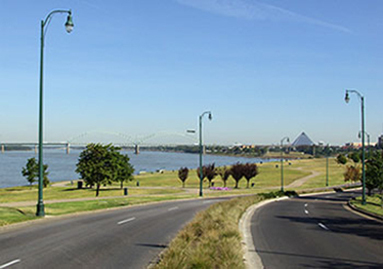 Allen & Hoshall provided complete master planning, engineering and landscape architecture design for Tom Lee Park, a 30-acre park on the riverfront in Downtown Memphis. The project included public areas, walkways, restrooms, Tom Lee Memorial, kiosks, viewing areas, parking, and access. The park received the 1995 Center City Commission Downtown Memphis Award for Urban Design/Environment.